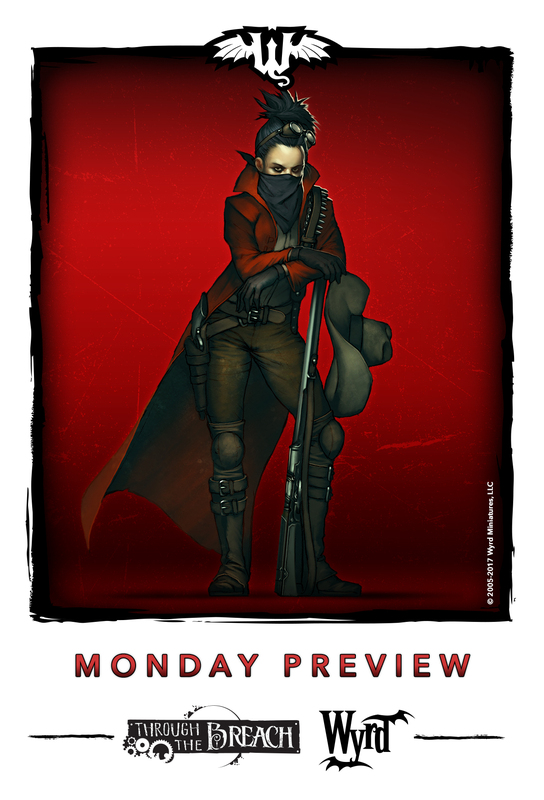 Wyrd loves to make Mondays just a little better by having regular previews that day. Well, as today's Monday, that means a preview. This time around, it's a look at the Marksman pursuit for Through the Breach. Marksman Pursuit... sounds like a new spy thriller movie coming out next summer. Another Monday means another preview! Today we are looking at the Marksman pursuit from Above the Law, the upcoming Guild supplement for Through the Breach. Let's learn a little bit about this new pursuit! The Marksman Pursuit allows a character to focus upon ranged combat - with an emphasis on "ranged" - more than any other Pursuit. While the Gunslinger might throw out a wild flurry of pistol shots and the Boomer might unleash the raw devastation of a powerful shotgun, the Marksman takes a more patient approach by carefully lining up her shots before pulling the trigger.